Turns out, I wasn’t ok with it being really light. At first and without any food to accompany it, Trepat tasted too light, like somebody had thrown some H2O into the Barbera bottle. But with the arrival of the fried food, the Trepat managed to play off the different tapas plates we ordered fairly well. Still not sure it would rank on my Top Light Red list but with the right combination of green onions and lighter fare, Trepat could be a pretty understated and surprising pairing. Particularly for summer. 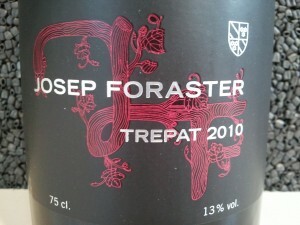 Apparently though, Josep Foraster – the producer of this wine – is one of only two producers to make a 100% pure bottle of Trepat. 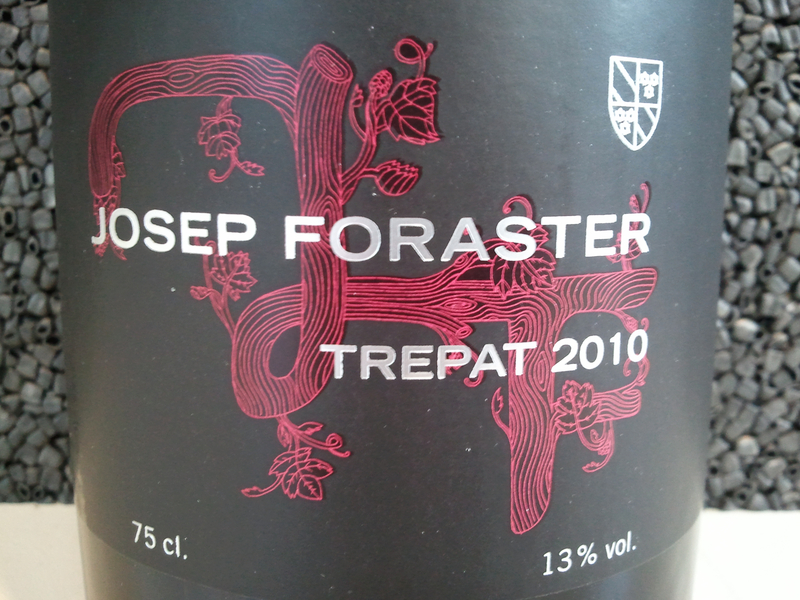 Because Trepat is typically used for cava, red cava. Strange on a number of levels, this Trepat opens its own rabbithole within another rabbithole. So, yes – there is red cava (who knew?). And Trepat is regularly grown for that purpose in the Conca de Barberà DOC in southern Catalonia, the area where the cava plants grow. Would definitely be up for trying a red cava someday (called “Rosado Cava”), and possibly trying out the Trepat once the weather warms up even more. Crazy how much you can learn from ordering one wine… and ignoring the warning. Notes jotted down at the time of tasting – Extraordinarily light, smell of cherries and some raspberry. Hardly any finish. Pizza pizza. Barbera’s weaker brother. (And then, a few minutes later) Much better with food – like a chameleon wrapping around the food. * 1,100 hectares of Trepat grow in the world. 1,000 of them are in Catalonia. No idea where the others are located. Random guess – France? California? * Trepat is apparently #200 on the list of most commonly grown grapes. Seems remarkably high in my opinion.